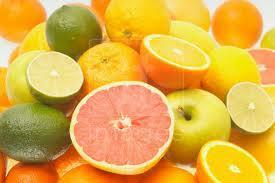 Eating Citrus Fruit May Lower Stroke Risk! and grapefruit, may lower ischemic stroke risk. than women who consumed the least amount. class of protective nutritive compounds present in fruits, vegetables, dark chocolate and red wine. University of East Anglia in Norwich, United Kingdom. " Flavonoids are thought to provide some of that protection through several mechanisms, including improved blood vessel function and an overall anti-inflammatory effect." four years. Researchers examined the relationship of the 6 major subclasses of flavonoids commonly consumed in the U.S. diet (including: flavanones, anthocyanins, flavan-3-ols, flavonoid polymers, flavonols and flavones) with risk of ischemic, hemorrhagic and total stroke. As expected, the researchers didn't find a beneficial association between total flavonoid consumption and stroke risk, as the biological activity of each differ. However, they found that women who ate high amounts of flavanones in citrus had a 19 percent lower risk of blood clot-related (ischemic) stroke than women who consumed the least amounts. grapefruit and grapefruit juice (14 percent). sugar content of commercially-available fruit juices. A previous study also found that citrus fruit and juice intake, but not intake of other fruits, protected against risk of ischemic stroke and intra-cerebral hemorrhage. There was also a study that found no association between yellow and orange fruits and stroke risk, but did link increased consumption of white fruits like apples and pears with lower stroke risk. Another study found that women from Sweden who ate the highest levels of antioxidants approx 50 percent from fruits and vegetables, had fewer strokes than those with lower antioxidant levels. More studies are needed to confirm the association between flavanone consumption and stroke risk, and to gain a better understanding about why the association occurs, the researchers added.